Woman Designer Working At A Laptop With A Graphics Tablet. 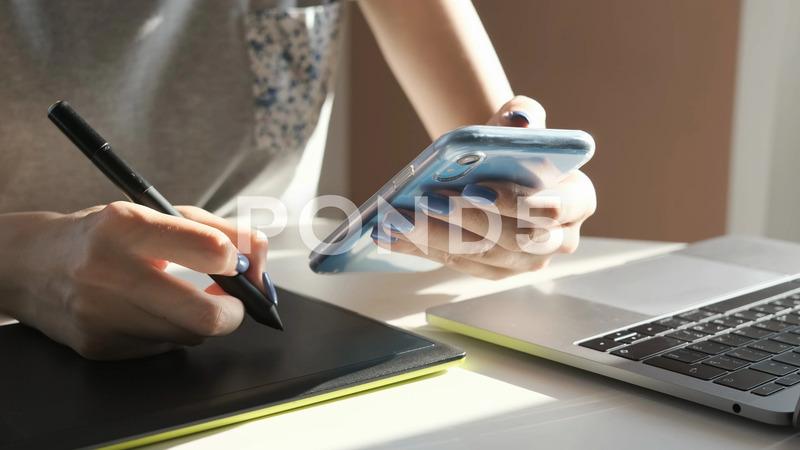 Description: Woman designer working at a laptop with a graphics tablet. Graphic designer working with digital drawing tablet and pen on a computer from home office on sunny day.